Bishop Andrew Merritt and the Straight Gate Mass Choir have made a habit of releasing chart-topping CDs in the last several years. It started with their first CD release, “Faith in The House,” which has sold over 150,000 units. Their current release entitled, “Expectations: I’ll Praise,” has been a hit as well. It debuted at #6 on Billboard’s Gospel Chart and almost a year later it is still in the top 30. For this project Bishop Merritt assembled an all-star cast of producers, artists, and singers such as Fred Hammond, Steven Ford, Israel Houghton, J. Moss, Paul Allen, Noel Hall, Straight Gate Mass Choir, and others. The result has been phenomenal. “Expectations: I’ll Praise” earned a Stellar Award nomination for “Traditional Choir of The Year” and a Soul Train Award nomination. 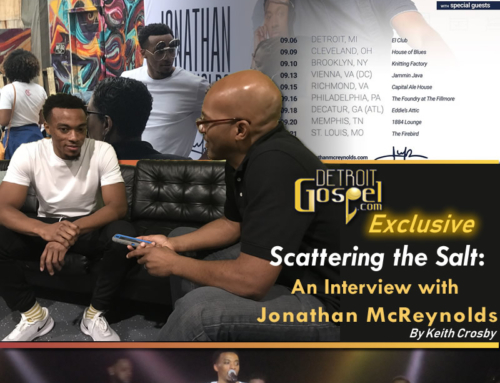 Detroit Gospel.com recently had the privilege to speak with Bishop Andrew Merritt, the Pastor and founder of Straight Gate International Church, and Bajada Records founder, about the success of Straight Gate Mass Choir and his independent label Bajada Records. 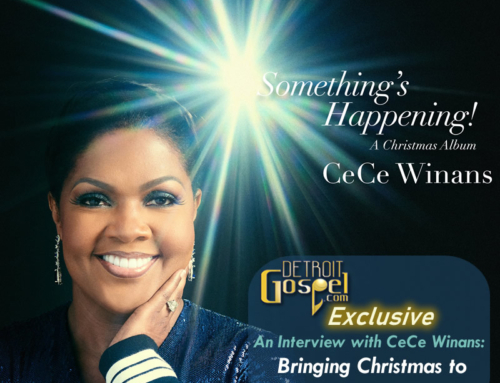 Detroit Gospel.com: What does it mean to you to have Straight Gate Mass Choir be nominated for a Stellar Award this year? Bishop Andrew Merritt: We have also been nominated for a Soul Train Award. We are grateful that our presentation of “Expectations: I’ll Praise,” to the body of Christ and to the world, has been accepted as inspirational, from a composition standpoint and excellent presentation musically, put together from great writers and producers from our team. Here again, we are just grateful to God that we have had this awesome opportunity to do it. DG.com: What was it like working with Fred Hammond, Israel Houghton, Steven Ford, J. Moss, Paul Allen, Noel Hall, Ali Woodson, David and Nicole Binion, and the others on this project? BAM: Let’s just say it’s the favor of God. You can’t do anything without God’s favor and you can’t do anything without God. So to try to explain ‘we did this’ or ‘we did this’– we just like to say it’s the favor of God. DG.com: What have been some of the keys to success for Straight Gate Mass Choir and Bajada Records? BAM: Number one, we look at things totally different from the world. The world looks at things totally from the aspect of talent. Of course you’ve got to have the talent to have people record it, capture it, produce it, manufacture it, and put it into the hands of the consumer. These are steps that everybody has to undertake. But one of the things we rely totally on, we rely upon not just the talent, but we rely upon the anointing and the blessing and favor of God. The scripture says that the Lord was with Joseph. So that’s what we rely upon; that if God is with us and for us in it then it will be a blessing. The music we create is for the masses of people, but it is dedicated to God. DG.com: What was your motivation behind starting Bajada Records? BAM: Because music, whether we’re talking about worship music, contemporary, gospel, or traditional, if it relates to Christ it needs to be in the hands of Christian people, not secular executives. DG.com: What advice would you share with a new artist who is trying to make it in the gospel music business? BAM: Number one, in anything that you attempt to do you need to have a passion for it. If you don’t have a passion then you’re not going to do the things that are necessary to be successful. Your passion is what drives you. Your passion will drive you for excellence. Your passion will drive you to learn your craft, how to present your craft, and how to package it and all of that. Your passion will drive you. In particular, when we start talking about gospel music and success in gospel music it’s whether or not you will be a middle of the road artist or a compromised artist who is trying to reach the other side. Number one, are you dedicated to God? Is this project dedicated to God? Are you willing to accept less than name recognition to do it for God? Are you marketing yourself? Are you in it for financial gain? There is gain, but should you profit – yes you should, but is that your sole motive? Because if we don’t make money we can’t stay in business, if General Motors doesn’t make money they will go out of business. That can’t be your motivation. Your motivation is that if you are going to be in music ministry you have to make a decision “am I going to be a worldly person or be a Christian?” Am I going to sing Christian music or sing the world’s music? There are so many people inside of the church who have a worldly concept where I say you’d do better by going out and trying your hand in the world because the church is never going to accept it. That’s never going to work in the church. DG.com: What can we expect next from Straight Gate Mass Choir? BAM: By June  you’ll have another presentation that will be totally the next step in the choir’s presentation. Israel will be one of the main producers on that project and it’s going to be wonderful.